Believe in hope with this canvas tote bag. This Believe design may be featured in one of our 5 awareness colors. 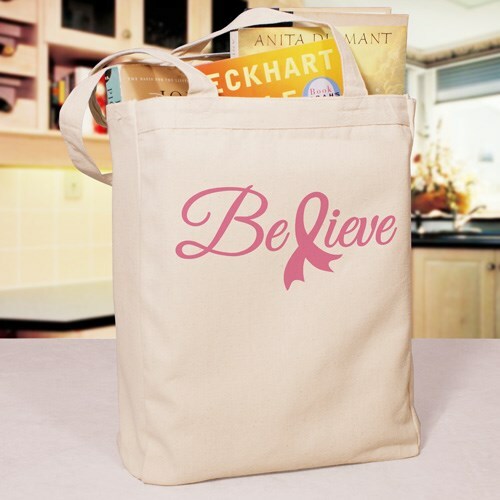 This Canvas Tote Bag is a 100% cotton Canvas Tote Bag measuring 16"h x 14"w. Our breast cancer bags are made especially strong to hold all of your take along items and is great for spreading awareness wherever you go.